Two wrongs cannot make one right. This was the message from the Lae metropolitan superintendent to the residents of Busurum compound. Confrontations at the Busurum Compound claimed the lives of two young East Sepik men on separate occasions. A youth was killed last week following disagreements over ownership of a small crocodile. 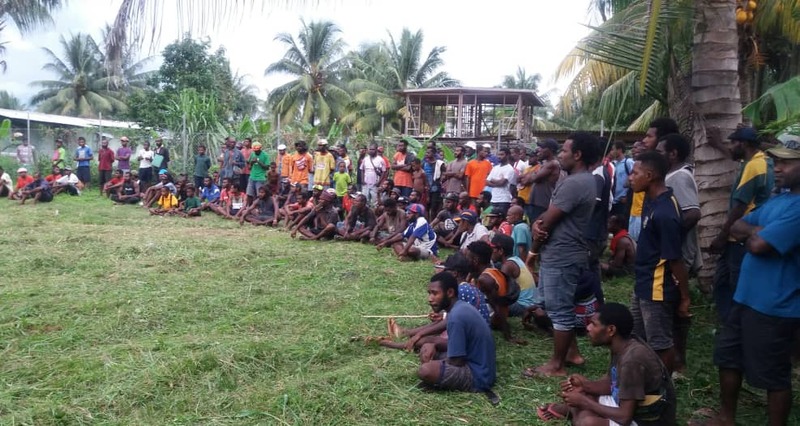 Lae police report that when the two involved parties met on Sunday at Busurum compound to sort out repatriation and funeral expenses, another fight broke out, which resulted in the death of the second youth. Police on duty at that time, which included support from the Special Response Unit, went in to quell the fighting. On the 25th of March, Lae metropolitan superintendent, Anthony Wagambie Jnr, went to Busurum compound in the morning and talked to the people there. He appealed for peace to prevail, saying fighting will not solve anything. He further reminded the community to think of the women, children and the elderly. “I am concerned about the school children missing school, workers have not been able to go to work, and mothers who survive on daily marketing cannot do that now. Everyone is suffering and I want people to just let the law deal with this and not to create anymore tension,” said Wagambie Jnr. “I praise the leaders on both sides on trying their best to hold their communities together. “I will keep taking this on personally to ensure that we bring back normalcy. He further said CID is handling the case now and everyone should cooperate, including the youths.